Targeted nuclear medicine has shown some impressive outcomes in several small studies, mostly conducted in Germany. Most of the studies have used a radioactive beta-particle emitter, lutetium-177, attached to a ligand that has high and specific affinity for prostate cancer cells. 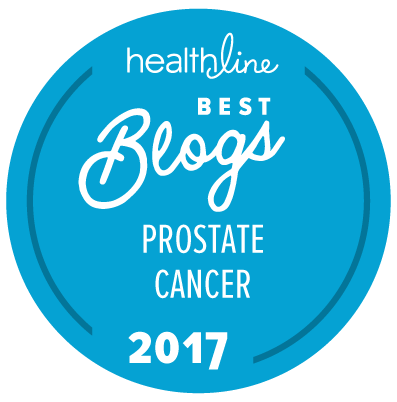 Most medicines developed for this purpose have a ligand that attaches to prostate-specific membrane antigen (PSMA), a protein found on 90 percent of all prostate cancer cells. The ligand for Lu-177-PSMA has to have a “grappling hook” on one end (called a chelator) that holds onto the Lu-177. On the other end is a “magnet” of sorts that binds tightly to the PSMA. The beta-particles then kill the cell that the ligand attaches to and some nearby cells as well. There are also ligands that attach to prostate cancer proteins other than PSMA, and radioactive elements other than Lu-177 that are in clinical trials. This is a rapidly developing field. The new ligand is called PSMA-I&T (imaging and therapy) or sometimes PSMA-DOTAGA. The ligand used in most of the other studies was PSMA-617 (also known as PSMA-DKFZ) or PSMA-J591. The ideal ligand attaches strongly to PSMA in prostate cancer tumors and to nothing else. Importantly, it should not accumulate in the kidneys to a great extent because it could damage them. In 56 percent, PSA decreased by at least 30 percent. In 33 percent, PSA decreased by at least 50 percent. In 11 percent, PSA decreased by at least 90 percent. Complete remission of metastases occurred in 5 percent. Metastases stayed stable in 63 percent. Metastases progressed in 32 percent. Performance status was stable or improved in 74 percent. Mild (Grade 1 or 2) toxicities included dry mouth (37 percent), anemia (32 percent), and platelet loss (25 percent). There were no severe (Grade 3 or 4) toxicities. 68 percent of patients had some PSA decline. 37 percent of patients had a PSA decline of at least 50 percent. More patients had a PSA decline with the PSMA-I&T and PSMA-617 ligands, but there was a wide range of outcomes. These early indicators look good. Even if it just stabilizes performance status and mitigates bone pain in these end-stage patients, there is an important benefit. While PSMA-I&T was developed to be a good ligand for imaging purposes as well as therapeutic purposes, a recent study found that, when used with gallium-68 (Ga-68, a positron emitter), PSMA-HBED-CC (also known as PSMA-11) was slightly better at detecting metastases (see this link). Another PSMA ligand, DCFPyL, that incorporates the positron emitter fluorine-18 into the ligand more tightly (avoiding chelation, which can easily be reversed), seems to be superior to the Ga-68-PSMA-HBED-CC PET tracer (see this link). Both DCFPyL PET and Ga-68-HBED-CC PET are in numerous clinical trials in the US and Canada. Lu-177 is a gamma-emitter that can be seen by a gamma camera or via SPECT. However, it is usually used in conjunction with a positron-emitter in order to obtain a superior image. Are there any studies with radiolabeled PSMA under way in the early therapy after biochemical recurrence, when you don’t know whether the cancer is local orr systemic? These therapies could help in both cases, radiotherapy only in local recurrence. Sounds very encouraging. I see a trip to Germany in my future. The only trials I’m aware of in the US are all for men who are castration-resistant. I don’t know whether they are doing clinical trials in Germany on men with less advanced disease. In the US, there is a trial of Lu-177-PSMA-J591 + ketoconazole in men who are not yet detectably metastatic but are castration-resistant: NCT00859781. Presently on Zytiga and going to Xtandi in week and then to 177-lutetium program and considering Xofigo treatment; just had test on November 17, 2017, at Mayo Clinic. Which university or hospital in Germany is available? Since you are metastatic and castration resistant, I think you might want to consider the clinical trial at MSKCC, described here.